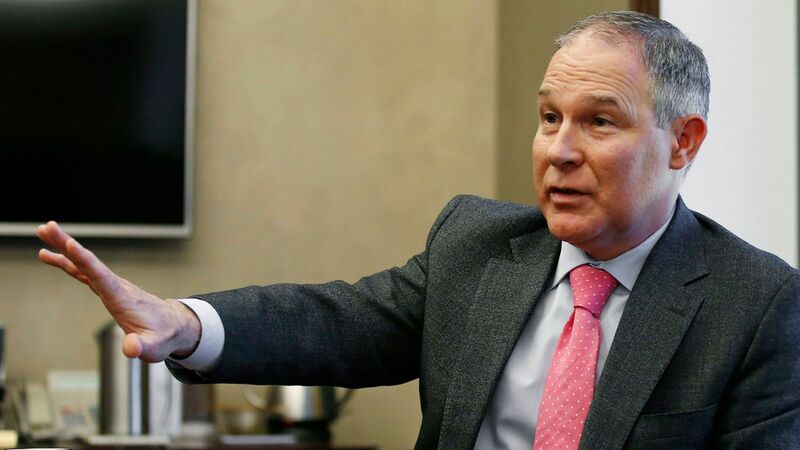 The Environmental Protection Agency finally unveiled its proposal to nix the Clean Power Plan (CPP), a 2015 rule — which never took effect — that would have mandated cuts in carbon emissions from power plants. Between the lines: The CPP is the most closely watched of the Obama-era climate rules, but it probably gets more attention than it deserves when it comes to the total U.S. emissions picture. Power plants spit out slightly under a third of U.S. greenhouse gas emissions, and the rule would have forced a reduction of their carbon dioxide emissions by 32% below 2005 levels by 2030, making it a pillar of the U.S. pledge in the nonbinding Paris agreement to cut overall greenhouse gas emissions by 26%–28% below 2005 levels by 2025. Multiple forces have for years been cutting power plant emissions already by pushing the electricity away from coal and towards natural gas and renewables, like cheap gas, falling wind and solar costs and state green power mandates. The U.S. is already slightly over halfway to the CPP target.Yes, but: It's a key backstop that would have required continued emissions cuts if other forces lose their punch.That's important because other Trump administration policies and proposals — like the DOE push to provide new compensation to coal plants or walking away from Paris — could alter the pace and trajectory of reductions. (Last night Politico posted a useful rundown of White House policies to aid fossil fuels in power generation and elsewhere. )Be smart: Let's turn it over for a moment to climate expert Varun Sivaram of the Council on Foreign Relations..."The reason this is important, from a climate perspective, is that without some forcing function to shut down coal plants, the U.S. probably can't meet its Paris target," he tells Axios in an email. "In other words, the CPP, or some other policy that shuts down coal plants over the next eight years, is a necessary but insufficient condition to meet our climate commitment," Sivaram adds, noting auto mileage standards and other forces.The CPP, he says, has little to do with continued increases in wind and solar deployment. He points out potential new tariffs on solar panel equipment would be "far more harmful" to solar growth than nixing the EPA rule.